Many enterprises accuse banks of selling US dollars at rates higher than listed by VND200-300 per dollar while lenders say that the deficit comes from exchange fees. Local dollar demand is surging on a soaring import-export by year-end and a volatile gold price, say experts. “As dollar trading in the so-called free market is forbidden, local businesses have to buy from commercial banks,” says an economist in Ho Chi Minh City. “Many companies are rushing to buy the greenback to import gold after the State Bank allowed the import of five tons of gold in an attempt to cool the local gold fever, leaving the dollar supply under pressure. The central bank has asked lenders to only offer dollar loans to enterprises that create dollar incomes. The monetary authority in May ordered lenders to set aside more dollars as reserves. The reserve-requirement ratio on dollar deposits rose by 1 percentage point ranging between 4 and 7 percent. The rising ratio will boost lending rate [which is expected to move up by around 0.1 percent per month] and narrow the gap between rates on dollar and dong loans, leaving enterprises unwilling to borrow, said Tran Anh Tuan, general director of NamA Bank. Statistics from the State Bank’s HCMC branch shows growth of dollar deposits in the city is slowing down, while credit growth remains on the rise. Nearly VND860 trillion ($43 billion) have been deposited in HCMC-based banks so far this year, a 6.4 percent increase from the end of last year, according to the branch. Of the amount, deposits in the dollar dropped 1.12 percent year-on-year, while ones in dong rose 9 percent. The outstanding loan has amounted to VND753.4 trillion, of which dollar loans have increased 20 percent year-on-year. The dollar-dong interbank exchange rate amounts to VND20,628 for one dollar on Thursday, the State Bank of Vietnam announced on its website www.sbv.gov.vn. 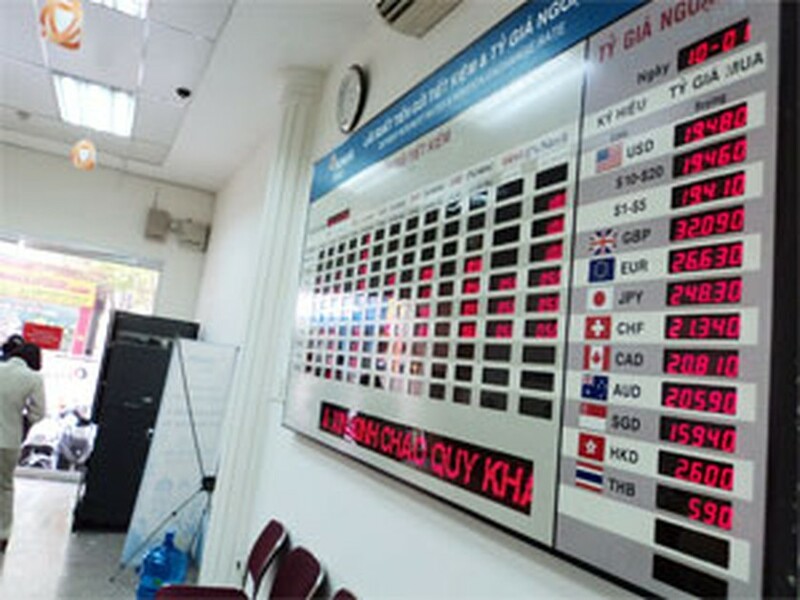 Many commercial banks, meanwhile, offer a rate of VND20,834 per dollar and buy at VND20,810-20,830 per dollar. 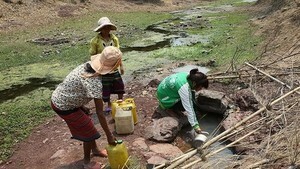 The rate on the so-called free market reached VND21, 000 for one dollar. Figures from the State Bank’s HCMC branch show sales of the greenback of local enterprises and individuals reached US$24.2 billion in the first eight months of the year.